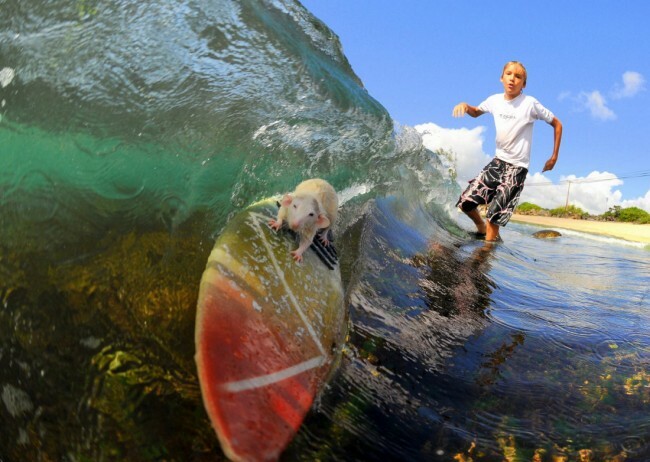 Boomer Hodel with Tofu his incredible surfing rat. The teenager built a surfboard for his rats Tofu and Fin and spent weeks teaching them to hold on until they can now handle full tube waves in Haleiwa, Hawaii. Incredible. What’s next? Cats playing chess? Parrots playing poker? These days, anything is possible.